The Reynolds-Alberta Museum is located between Edmonton and Red Deer in Alberta, Canada, 65 kilometers south of Edmonton. 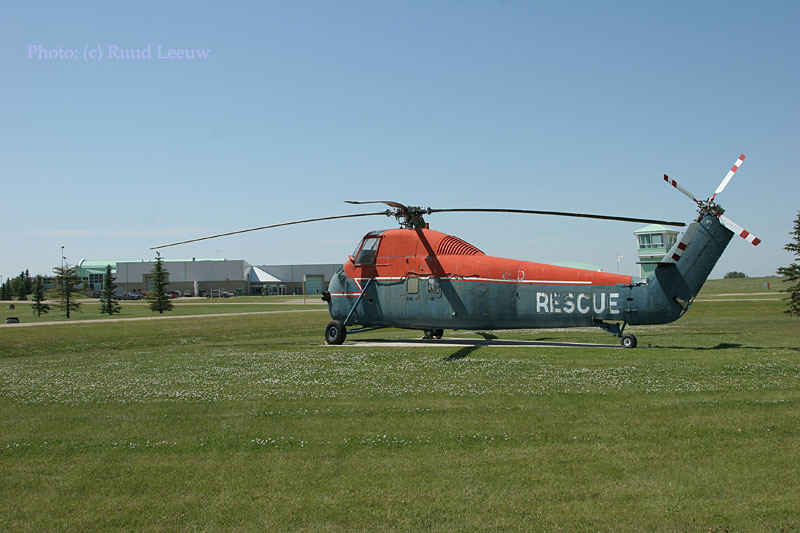 It is located off Highway 2 or 2A, one kilometer west of the city of Wetaskiwin on Highway 13, or east from Highway 2, near the Wetaskiwin airport. 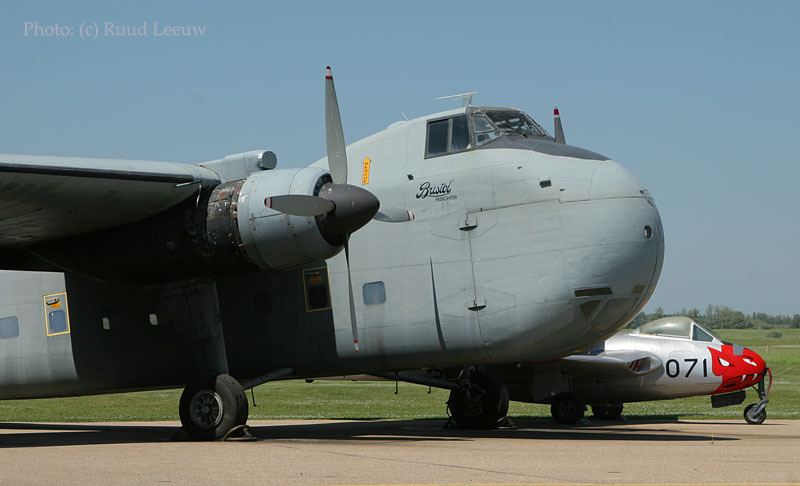 C-GYQS is a Bristol 170 Freighter Mk.31 (c/n 13060) and one with a story to tell... but that is why I like these propliners so much! 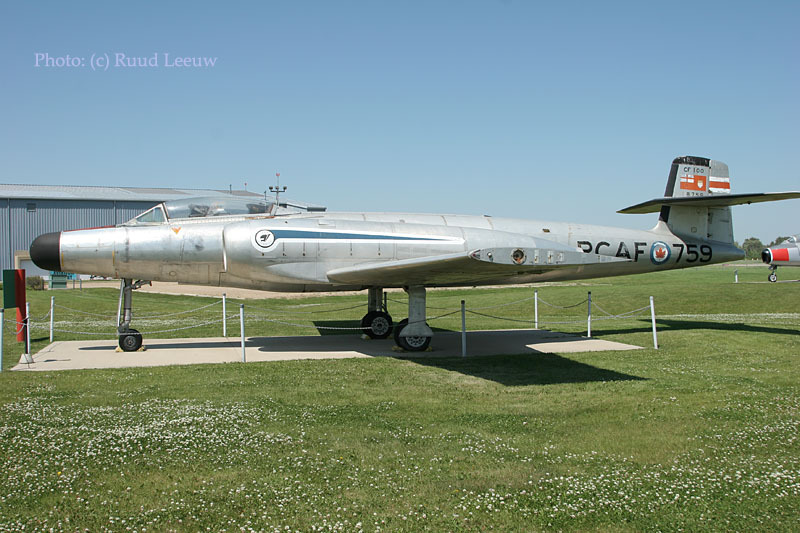 "On 06Jul99 Hawkair's Bristol Freighter C-GYQS took off from Bronson Creek airstrip with the last 3 white bags aboard, containing the ground down and concentrated gold ore mined from the Snip Mine alongside this famous strip. In a journey lasting 25 minutes, the Freighter flew the precious load to Wrangell,AK from where the ore would be shipped to Japan for processing." This is the first alinea of an article written by Peter F.Peyer in Propliner magazine (no.79, 1999). 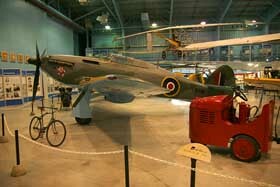 Mr Peyer also writes that by 06Jul99 'QS had flown 16.949 hours and had made 21.450 cycles. 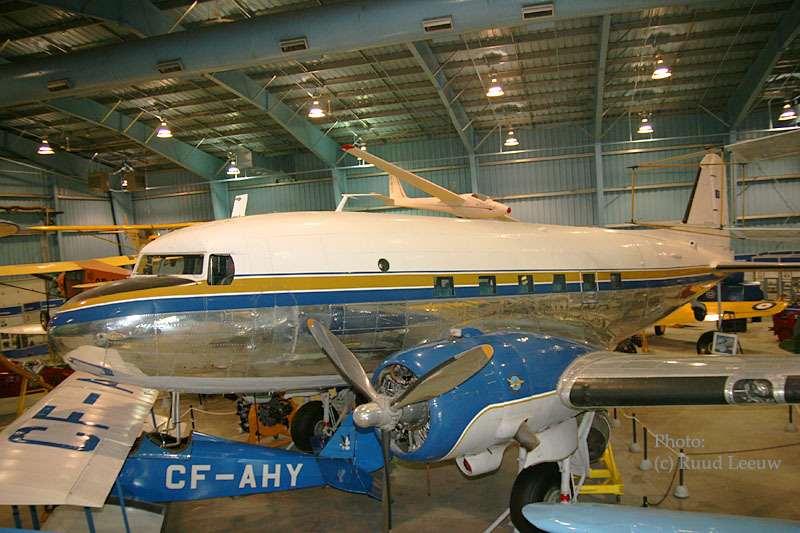 When the Snip Mine closed (the remaining gold laden ore was too low in grade, the mine was exhausted), 'QS became unemployed and the only flyable Bristol Freighter was subsequently stored by Hawkair at Terrace,BC. 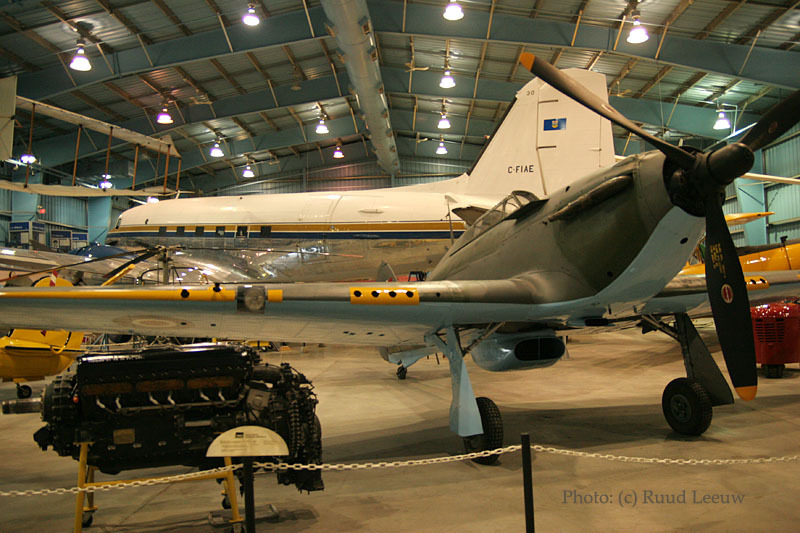 Hawkair ran into financial problems, restructured itself with more modern aircraft and in the process donated 'QS to the Reynolds Museum; after a period of restoration to prepare it for the ferry flight across the Canadian Rocky Mountains, this unique plane landed at Wetaskiwin on 06Sep04. Such a history does deserve preservation with dignity, I'd say!! 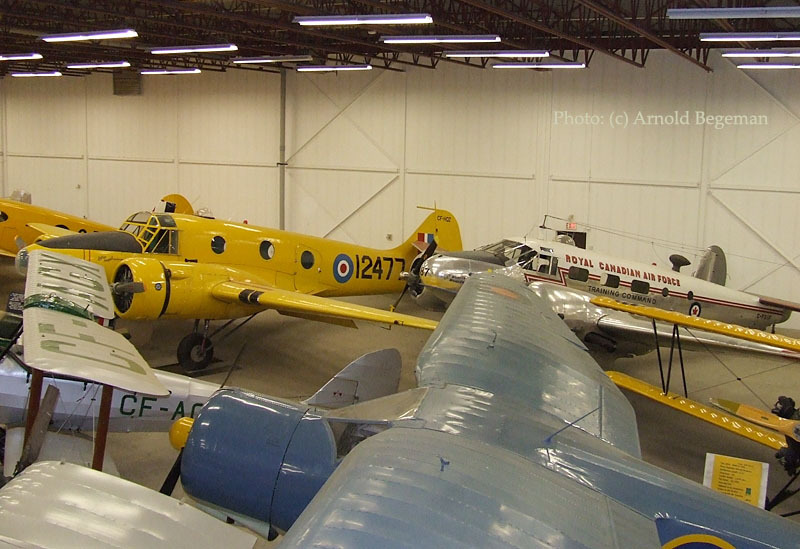 The book "My Life in the North" by Jack Lamb (of Manitoba's Lambair) has an interesting chapter on the use of the Bristol Freighter in the Arctic North. Another great book, about flying in the north and chapters featuring the Bristol Freighter, is "The Arctic Fox", by Don C.Braun & John C.Warren. Let's get inside, out of the blistering sunshine and restore some energy in the aircondioned display area here. 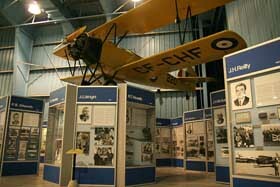 Mind, the museum is a transportation museum and its main hall doesn't contain aeroplanes; but an annex on the property is dedicated to aviation history and contains quite a collection. Obviously, the Douglas DC-3 stands out! 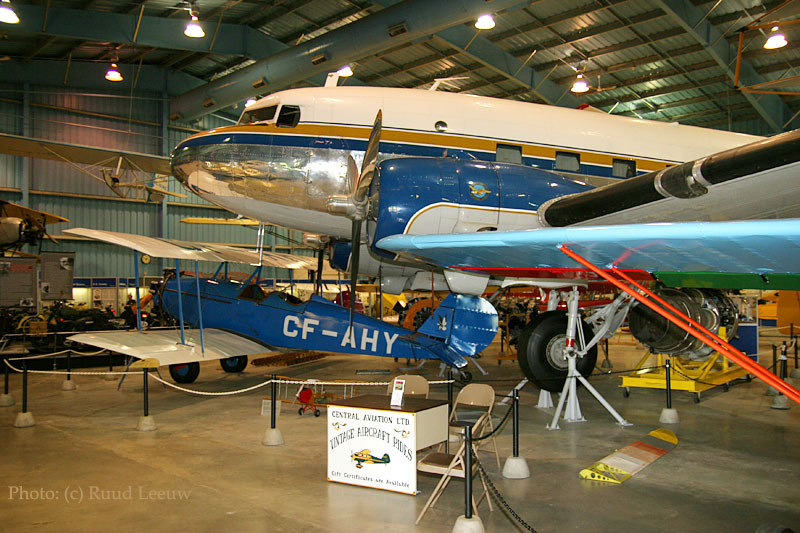 This is C-47 C-FIAE (c/n 4563) and was donated in 1986 by the Government of Alberta. 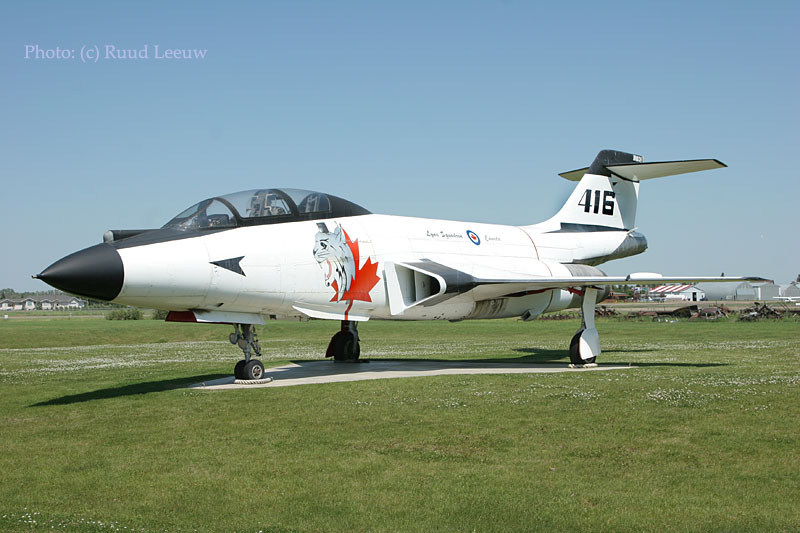 Previously it carried the tailnumbers: 41-18471, NC50474, XA-GEQ, N4887V and CF-IAE. 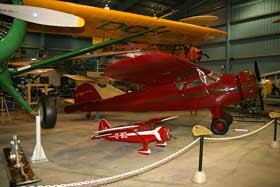 The biplane in front is a 1928 American Eagle. 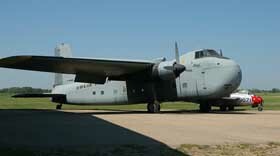 This aircraft was built as a transport plane for the United States Army Air Force. 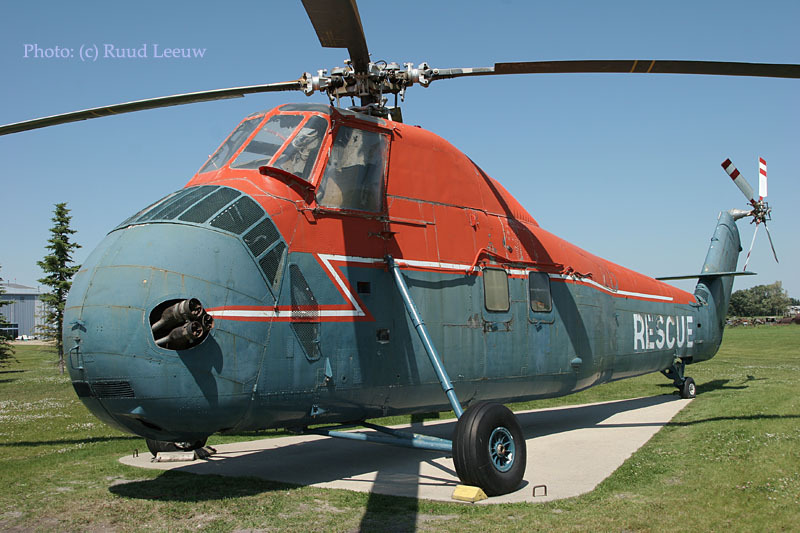 It was used as a passenger cargo carrier by Shell Oil from 1955 until 1969, when it was purchased by the Alberta Government. 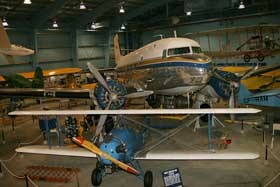 Alberta Air Transportation Services used the DC-3 for general duties and to fly forest fire-fighters and their supplies into remote northern areas. 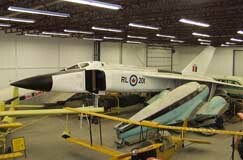 If you come to the museum have a look under this plane...: there are a pair of 2,000 pound thrust rocket boosters on its belly!! 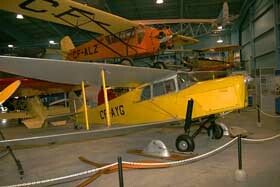 CF-DTE is a Beechcraft D17S "Staggerwing". 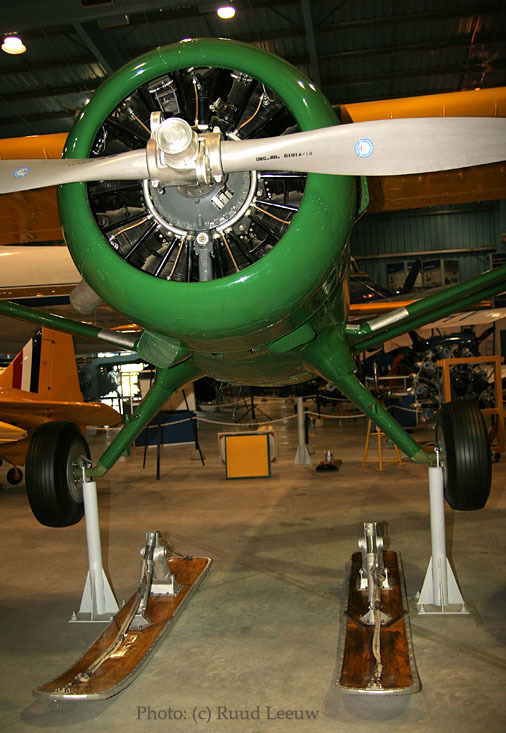 It is of 1943-vintage and the engine is a Pratt & Whitney R985, 9 cylinders pounding in that radial engine, producing 450hp and a speed of 211mph. Its saw use in the 1940s and 1950s mainly. 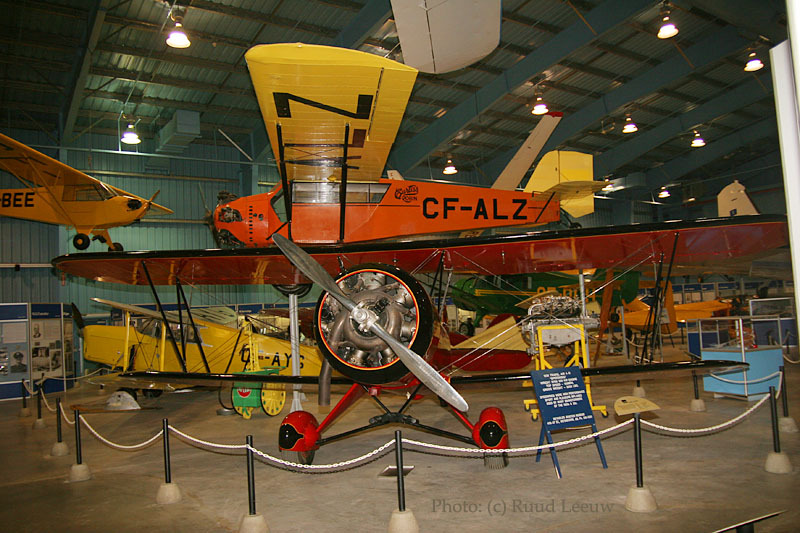 Hanging is a Curtiss Robin, CF-ALZ. 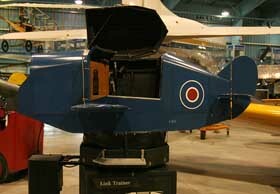 Facing, on the ground, is a 1929 Travel Air 4-D "Speedwing"; its Wright R760 350hp engine gave it a top speed of 150mph ! 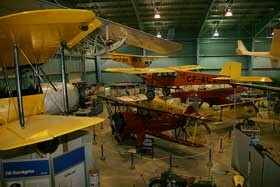 They were used by many barnstormers in the 1920s and 1930s. 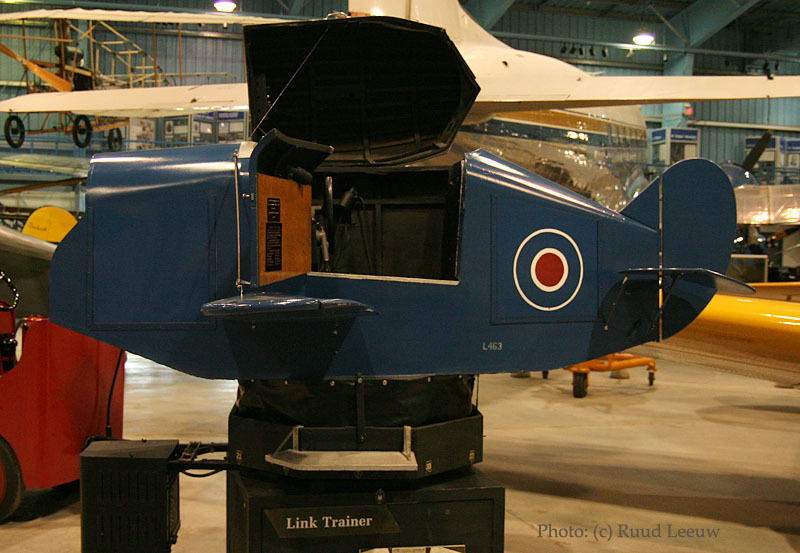 The Avro Avian was designed for pilot training and sport flying. 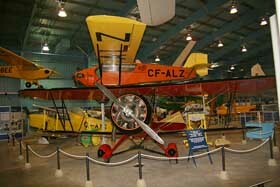 Canada's Aviation Hall of Fame member, "Wop" May, used an Avro Avian on his famous delivery of diptheria anti-toxin to Fort Vermilion during the winter of 1929. 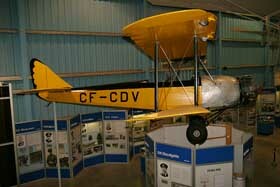 Originally owned by the Department of National Defense, CF-CDV was operated by the Calgary Flying Club from 1933 to 1939. 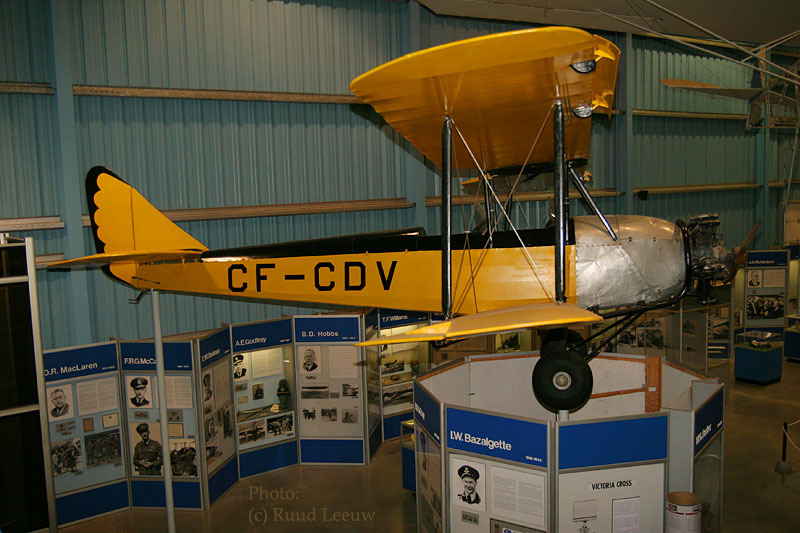 CF-CDV is one of only three surviving Avians. Fifty examples of this type were assembled in Canada. Engine: 5 cylinder radial, 100 hp, 100 mph. The website The Friends of Reynolds-Alberta Museum also offers much information and events at this museum. An overview and one can see the bright red Travel Air Speedwing again; the tailnumber is CF-JLW. This Hornet Moth was used as a mining exploration airplane for the Consolidated Mining and Smelting Company from 1936 to 1947. 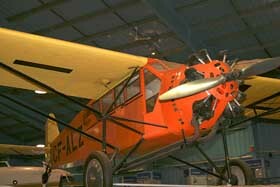 It operated year-round on wheels skis and floats. 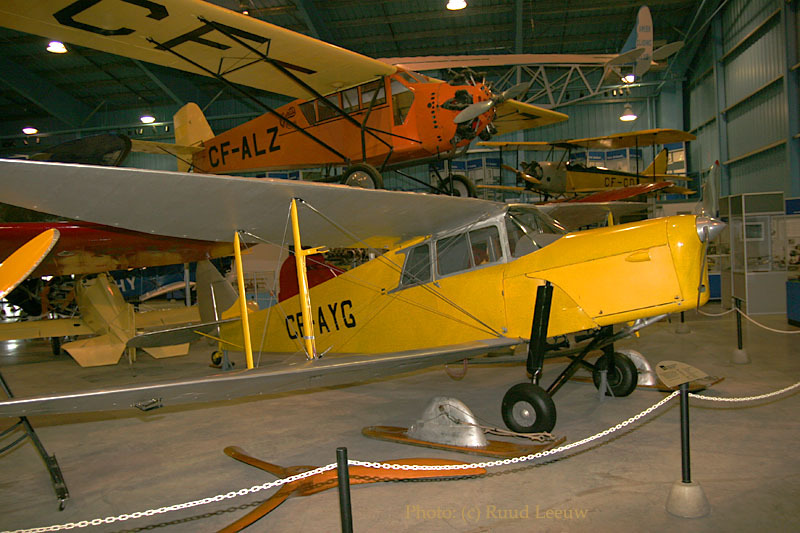 CF-AYG spent its entire working career in Western Canada and is a rare survivor. Engine: 130 hp, 130 mph. 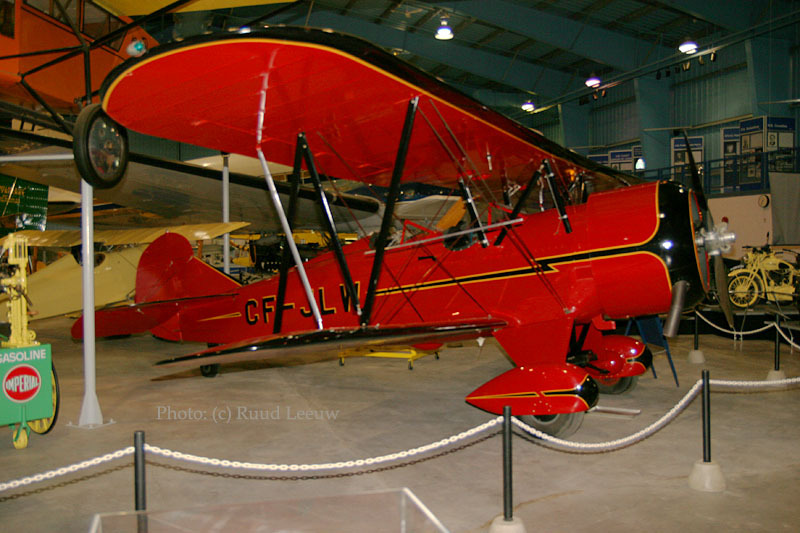 The 1929 Curtiss Robin is in original condition. 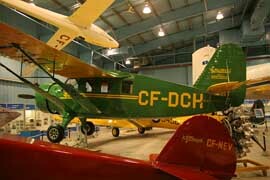 CF-ALZ was operated in Alberta and the North West Territories from 1930 to 1940 as a cargo and passenger bush plane. It was scrapped in 1941. This airplane is the same model as CF-ALZ and was used for general freight and passenger duties in the United States until it was imported into Canada in 1987. 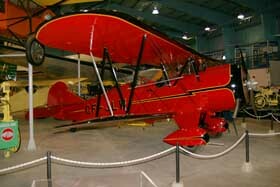 It is the only Curtiss Robin in Canada. 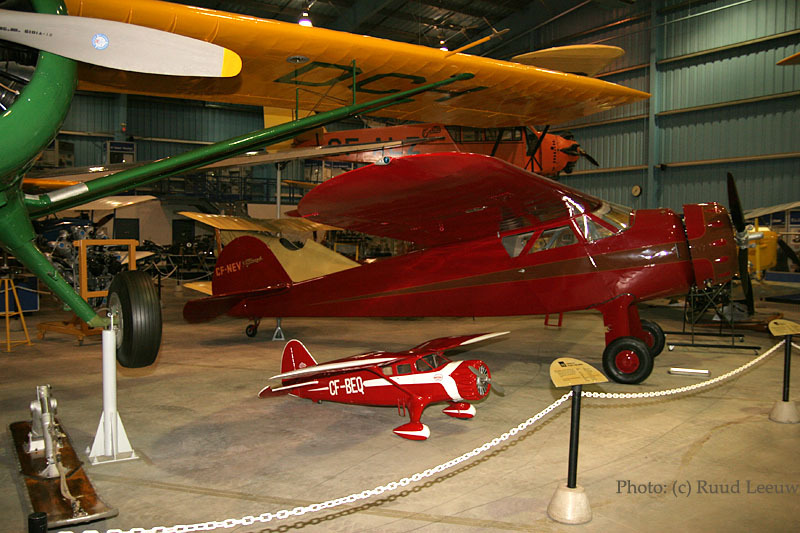 760 examples were built by the Curtiss-Robertson Airplane Manufacturing Company in St. Louis Missouri between 1928 and 1931. The Cessna Airmaster was considered ahead of its time when it appeared in 1934, because it could carry 4 people for 966 km (600miles) at a cruise speed of 241 kph (150mph) on only 145 horsepower. This impressive performance earned it the title of the world’s most efficient airplane! 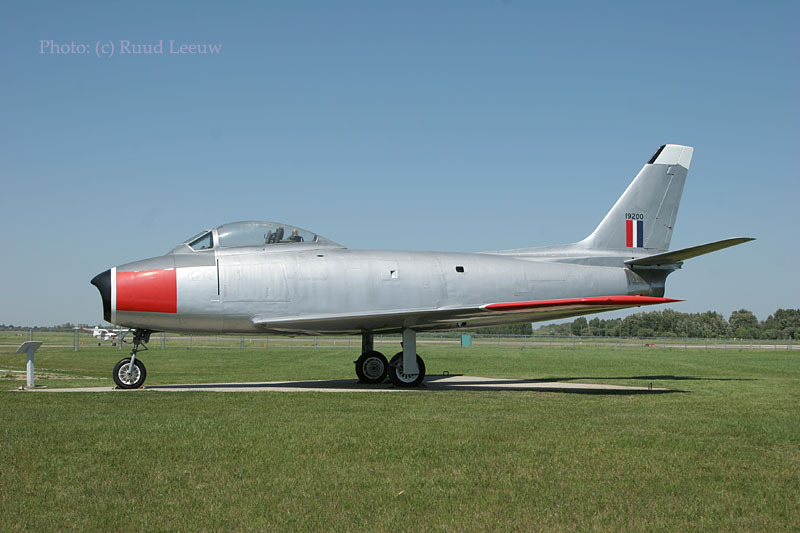 It was one of the most desirable light passenger aircraft of it’s day. Only 46 examples of this type were built. This green monster (and I mean that affectionately!) 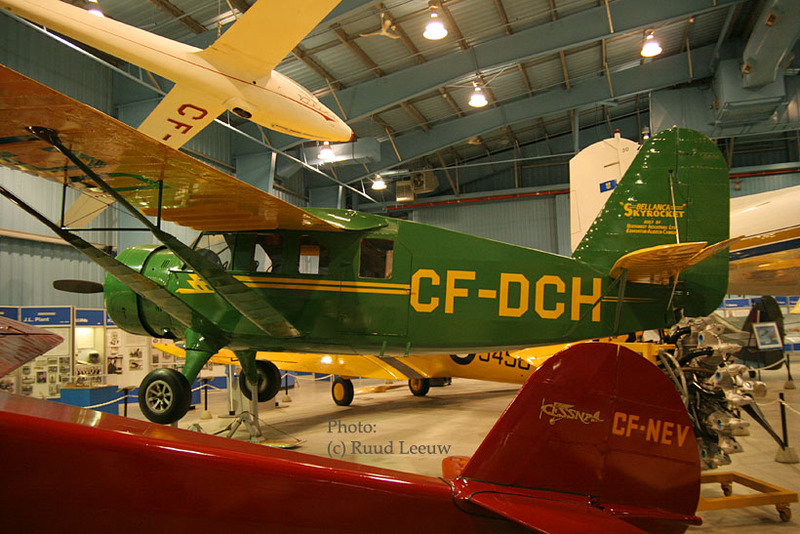 is CF-DCH Bellanca "Skyrocket"; the tailfin has additional titles: "built by Northwest Industries Ltd, Edmonton-Alberta-Canada". 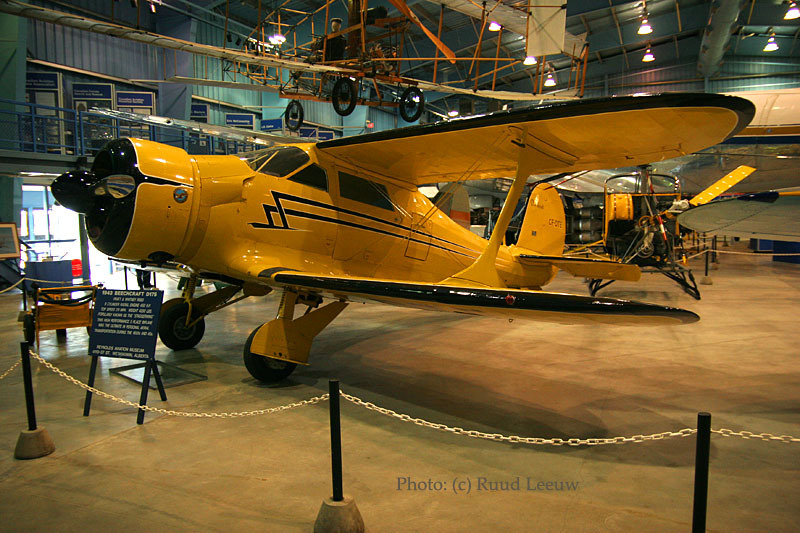 The Bellanca 31-55A Senior Skyrocket (manufactured 1946) was the last series of bush planes designed by the famous Bellanca Company; only 20 Skyrockets were built: 7 in the USA and 13 in Canada. 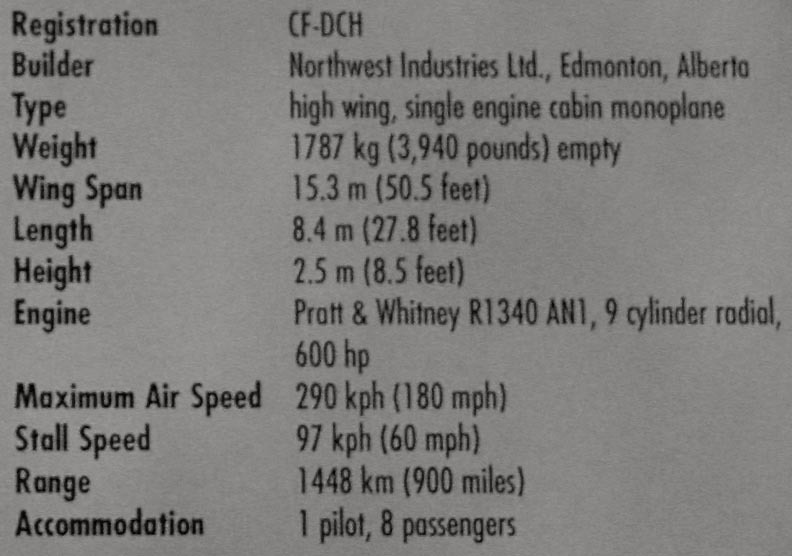 CF-DCH is the Canadian prototype. Skyrockets were used for general cargo and passenger hauling and were especially popular with mining companies for their northern operations. 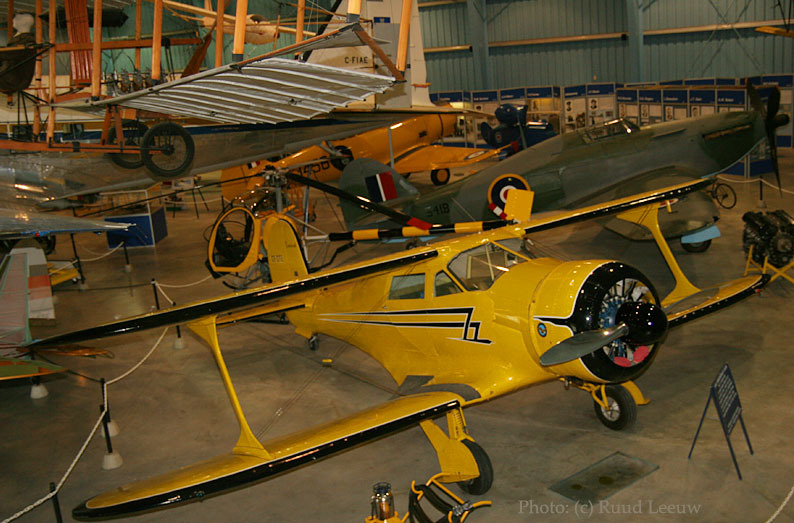 These planes could be fitted wheel, ski or float undercarriages. CF-DCH is the only surviving complete Skyrocket! 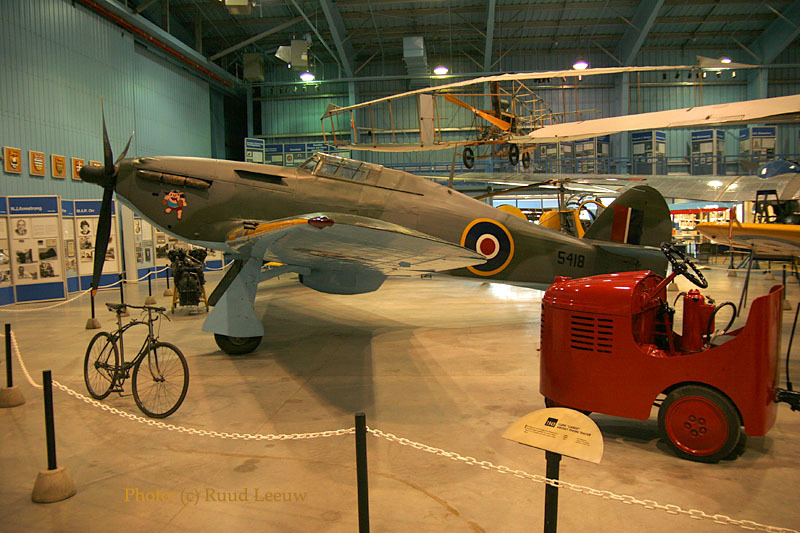 This is a 1936 Fleet Fawn Mk.II CF-CHF (c/n 58), ex RCAF 220. Outside is a Celebrity Row of famous jetfighters and a helicopter. So I headed for Highway 2A to travel up north to Edmonton and find a place to sleep, when I realised I'd forgotten something...! I looked around while driving, did not see anything (expected to see planes out in the open) and continued to Edmonton. Since I did not know what I was missing and had a good feeling about today's visit to Red Deer and the museum, I felt content and continued north. But Arnold Begeman lived around here for a few months during 2006 and was more thorough; so he sent me some photos of the planes I had missed! 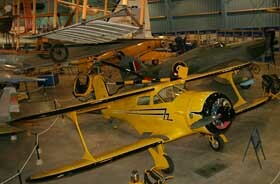 Among these is a rare Barkley Grow T8P-1: CF-BVE c/n.1, ex NX18388... oh boy!! Definitely something to go back for one day. Thanks Arnold! 1. Odd you should get that response from Reynolds about access to the storage hangar. It is possible, though you do need a guide and there is a fee of C$75 which I think applies regardless of the size of the group. Once inside, our guide was quite happy to let us wander around (though there was only two of us). 2. 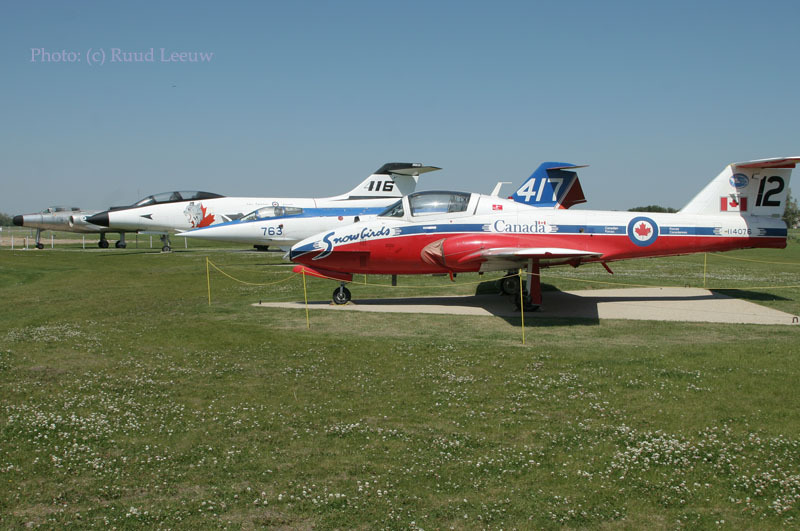 There are actually several museums co-located at Wetaskiwin. 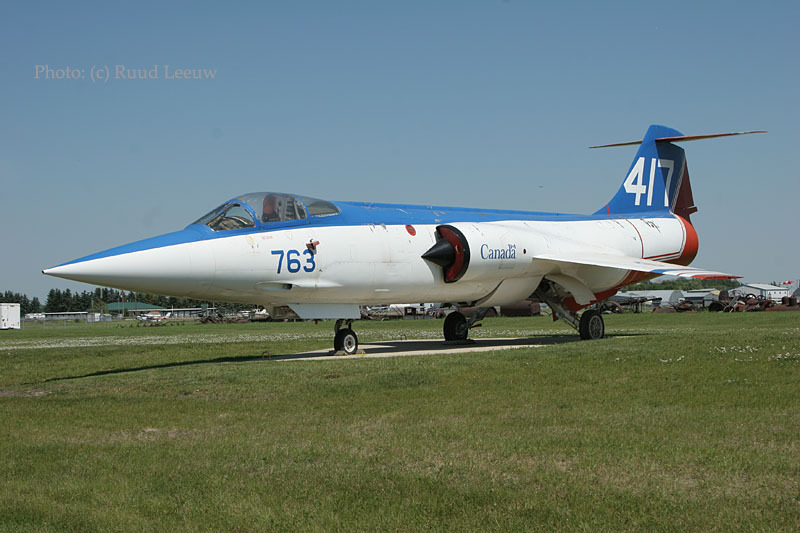 When I published my CAF serials and designations book nearly 20 years ago, I wrote to Byron Reynolds and asked which aircraft were in which museum and for their official names. I don't have his letter handy, but things may well have changed since then anyway. 3. Last time I was here, a few years back, the dismantled Air Spray A26 was still outside one of the hangars on the GA side of the airfield. There is a restoration hangar here and also two storage hangars with Byron Reynolds collection some of which is part of the Reynolds-Alberta museum, but I believe some is also his private collection, not really sure about that. 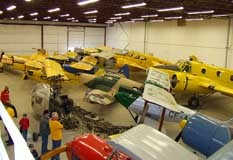 There are several other vintage aircraft privately owned also around these hangars. 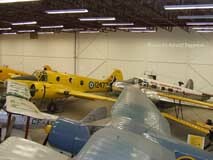 The other big storage hangar is near the museum; this is a massive building with about 40 aircraft in one quarter of it some on the first floor overlooking the others. I've been in here twice, first time I found an open door and had a self guided tour after speaking to a couple of people working in there and second time I had an arranged visit in advance after emailing someone there. But usually if you ask in the museum, they say no.